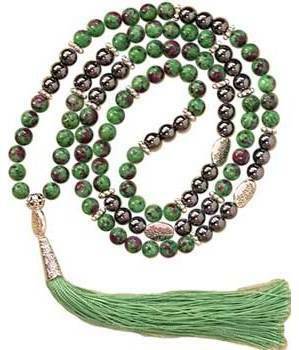 Ruby Zoisite & Hematiite with metal leaf design beads strung on thick elastic on this mala. This is a heavy good looking piece for prayer or ornamentaion. 108 beads with tassel. 8mm round.